Fernando Alvez, CEO of Brazilian NGO, Citizen Network (Rede Cidadã), acknowledges the impact of the ‘impeachment’ crisis and the ongoing turmoil in Brazilian politics and civil society. Innovation will make a difference to get through. Jean-Christophe Nothias (JCN): It might be difficult for outsiders to understand what is going on in Brazil right now around the recent impeachment of President Dilma Rousseff. Do you expect to see changes in the relationship between the corporate sector and the social and public sector? Fernando Alves, Executive Director of Rede Cidadã (FA): Yes, it is difficult for people outside of Brazil to understand what just happened here. This year we had a political crisis that demanded the removal of an elected president. We won’t get into the issue of who is right or wrong at this point. As in all impeachment processes, the impeachment of Dilma Rousseff creates uncertainty regarding the economic environment and outlook moving forward. As an immediate result of the impeachment, private sector companies have halted their investments in the social sphere, as they are unsure (and afraid) of how long the crisis will last and what effects it will have. However, we already see signs that the crisis will be overcome, and the market and the companies are also envisioning an increase in the Brazilian economy moving forward. JCN: How has your organization been affected? FA: Rede Cidadã was founded in Belo Horizonte in 2002 and today works in 9 States and 47 cities. As with any socially focused organization in Brazil, Rede Cidadã has recently suffered a large loss in funding to its programs, which are typically funded by investments from partnering companies. With the crisis, we had to close just one office, in one city. The good management that we have sustained during this difficult period is a reflection of our strategy of not depending on a small number of large investors. Although we have seen a reduction in the scale of the social results of our programs during this period, our organization was able to stay active, generating social impact and demonstrating the good management and governance structure we have in place. JCN: Could you specify which categories of beneficiaries you support as an organization? Has this evolved over the last twenty years? What has caused this evolution? FA: In the beginning, Rede Cidadã focused on unemployed youth between 18 and 24 years old from low-income families, who at the time comprised two-thirds of the economically active population. In addition to employability, we also started out helping youth to develop skills and be hired by companies that must comply with the Lei do Jovem Aprendiz, a law that requires all larger companies to host apprenticeships for young people in school. We focused on employment because youth all over the world encounter many challenges when starting their professional work career. Over time, the youth began bringing their unemployed parents to participate in Rede Cidadã’s methodology of employability. With the Brazilian population getting older, we then created the Rede Sênior (Senior Network) project to bring the older unemployed population back into the labor market. To date, we have helped over 57,000 youth, adults, and seniors insert themselves into the formal labor market. JCN: Do you feel Rede Cidada’s model can be applied to other countries? Have you tried to “export” it to other countries in the Americas or elsewhere? Can you elaborate on that – why, why not? FA: Our methodology is fully systemized and designed with processes that can be replicated. It’s a methodology that can be easily adapted to different cultures and therefore taken to other countries. We have never dedicated our efforts to this end because Rede Cidadã and its projects have grown very quickly over the past years. It has expanded to several cities and States in Brazil in a very short period of time. It is also important to remember that Brazil is a very big country, and before thinking about expanding Rede Cidadã and its methodology outside of Brazil, we wanted to focus our energy on the social challenges that exist in our own country first. Today, we are interested in making our methodology available to be implemented in other countries, but we need support in learning how to do that first. JCN: What do you see as the major challenges in Brazilian society at this stage? How do you see Rede Cidadã contributing to facing these challenges? FA: Brazil still faces the challenge of promoting an economic development model with a more equal distribution of income. For this to happen, it is necessary to improve the quality of the human capital (manpower) in the country. 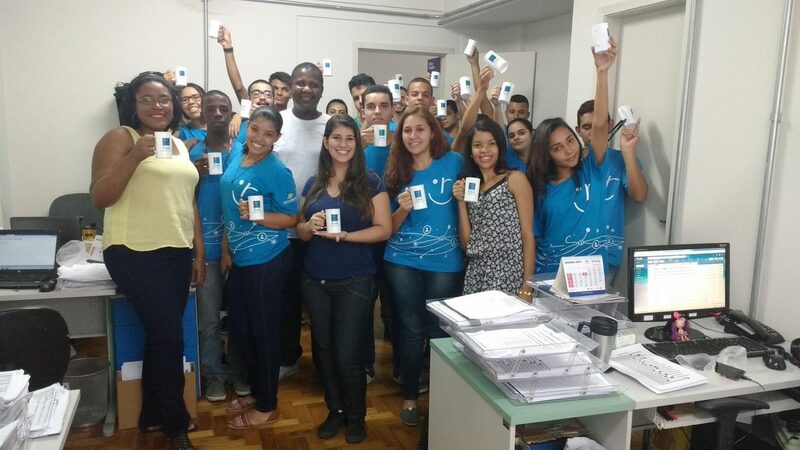 Rede Cidadã works directly in helping young professionals gain the skills to qualify for higher-income positions. JCN: You’ve recently been awarded the Sabia-Orange Award for a relatively new project in which you train young apprentices to become sustainable leaders (Jovem Aprendiz Sustentável). What is a sustainable leader? What do you see as the critical values of this program? To live by the values of the sustainability movement. To be the change you propose. To execute projects, to be involved, and to dialogue with others. To practice interdependency in your everyday life. That we have trained 5,700 youth in such a short period of time was recognized as highly relevant to the defense of the sustainability movement. This project also made a good impression because it made it clear to the workers at the base of the corporate pyramid that they have a responsibility to participate and help construct the culture of sustainability in their companies. It is not only the role of the management leaders to think this way. In addition, we encourage the youth we train to create practical projects in their communities. This has led to the creation of dozens of practical sustainable projects in the communities where the youth live. JCN: What’s next for Rede Cidadã? FA: The next goal for Rede Cidadã is to train 100,000 youth to find employment in the formal labor market by the end of 2020. So far, we have surpassed the 57,000 mark. Therefore, we face the challenge of building a model to seek out investors who can support the key investments that we need to make to reach this ambitious goal.